Jim Hussey was born 1924 and by the time he was 20 years old was a fully fledged professional wrestler and was well on his way to becoming one of the stalwarts of British wrestling having had his first match in 1942 at Belle Vue against Andre Nicola. Jim was soon fighting the big names of the day, such as Francis St Clair Gregory, Jack Pye and Bert Assirati. He earned the nickname Jumping Jim Hussey from an ability to dropkick an opponent and land on his feet, something that very few men could achieve let alone when you are the size that Jim was. Jim was one of the few grapplers who wrestled Assirati to a draw which in itself was no mean feat. Jims career spanned 30 years the majority of which was as a rulebreaker, the more the fans booed and jeered him the more Jim enjoyed it and would break the rules even more. 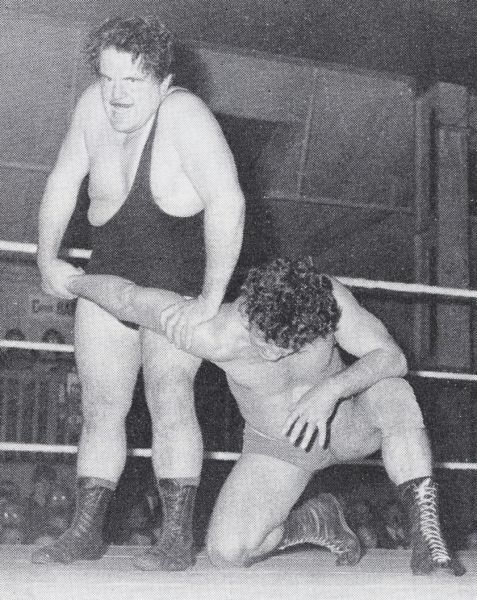 Jim was a hard hitting wrestler but also a very skilful one and could stand his own against the majority of the competition . Jim had victories in the ring over the likes of Mike Marino, Billy Joyce, Tibor Szakacs and Eric Taylor when they were all in their prime. 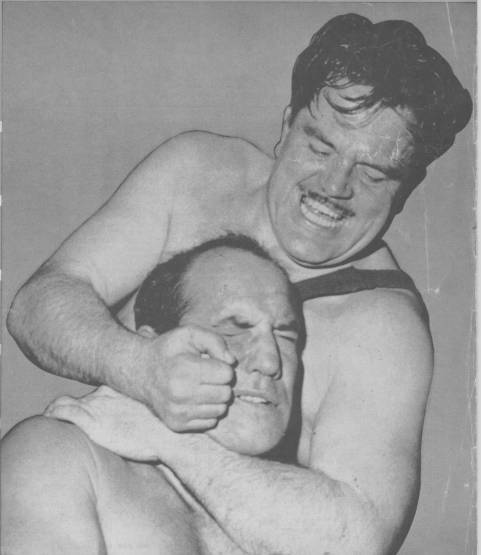 Jim Hussey was usually the first man that the promoters would call upon when a foreign visitor came to town, the promoter knowing that Jim could take care of himself so as not to cause any embarrassment and a great match would certainly have ensued. This happened when Jean Ferre, later to become known around the world as Andre the Giant, came to visit England in the 1960s. Whilst Jim was mainly a solo wrestler, he did enter into the ranks of tag team action teaming with Roy Bull Davis. 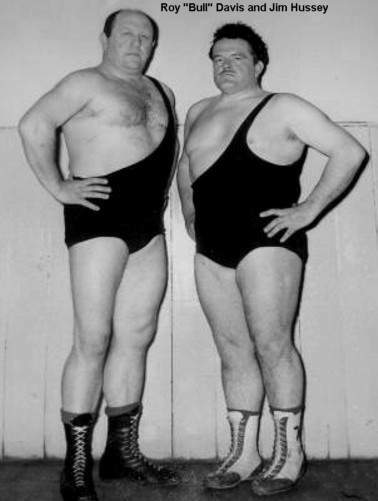 The unruly tag team were a sight to behold and were very successful in their endeavours. Although Jim retired from the ring in the 1970s he kept a keen interest on the wrestling business, none other than on his son who went on to World stardom as Rollerball Mark Rocco. 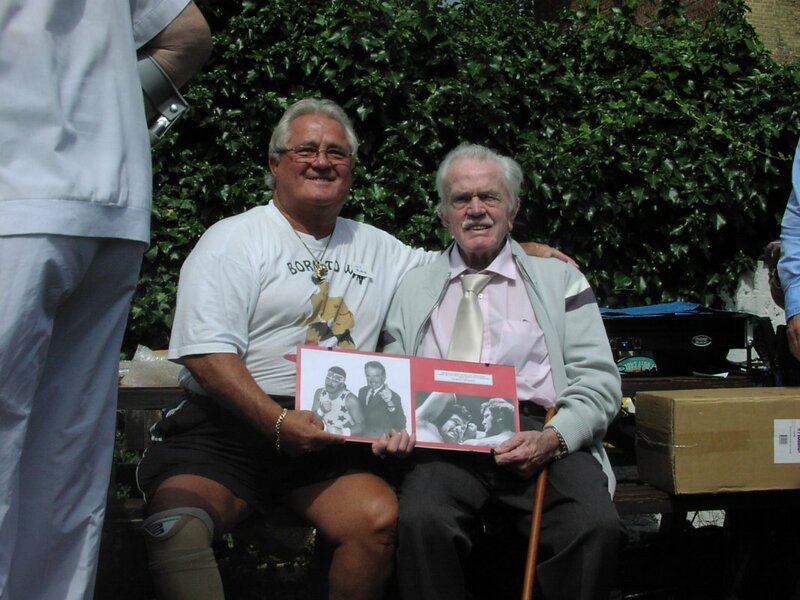 Jim was also a great supporter of the Reunion and attended where he got to meet up with many of his old friends including Colin Joynson, a man who he trained. Sadly Jim passed away on the 30th November 2011 but will always be remembered as one of the great heavyweights of not just his era but of any generation.